Dallas, Texas, September 28, 2009 – Global DataGuard®, the premier provider of network behavior analysis-based Enterprise Unified Threat Management for small and medium business to large enterprise environments today announced that Info Security Products Guide, the industry’s leading publication on security-related products and technologies, has named Global DataGuard a winner of the 2009 ‘Best Deployment Scenario’ Award in the Managed Security Services category. This prestigious award recognizes security vendors with advanced, ground-breaking solutions that are helping to set the bar higher for others in all areas of information security. The Global DataGuard case study was selected based on real-world solution deployments that are making the most positive impact on security in today’s highly sophisticated and blended attacks environment, according to Info Security Products Guide. “The most powerful message that security vendors can ever give to prove their capabilities and continued commitment to solving customers’ security needs is through successful deployments,” stated Rake Narang, editor-in-chief of Info Security Products Guide. 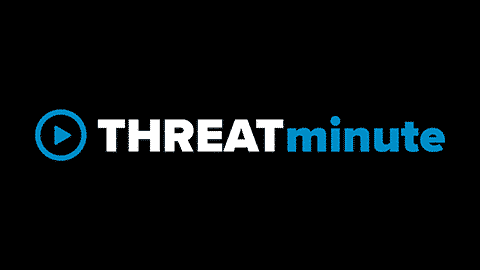 The Enterprise UTM++ is based on a systemic security architecture that utilizes patented network behavior analysis as the enabling technology – so security applications can work together, sharing and correlating information across all application subsystems to provide a deeper, historical context to threats and attack reconnaissance. This helps organizations to manage attacks proactively, before they have a chance to harm critical systems. The Enterprise UTM++ is also backed by 24/7 managed or co-managed services that typically cost less than one full-time employee, can be purchased with or without a contract, and provide real-time visibility, control and oversight of an organization’s entire security environment, while enabling significant savings in capital expenditures, training and staffing. Info Security Products Guide is a media sponsor of industry events and Technosium Executive Forums engaging Chief Information Officers (CIOs) and Chief Information Security Officers (CISOs). As a technology research and advisory publication, it plays a vital role in keeping decision makers and end-users informed of the choices they can make when it comes to protecting their digital resources. The Info Security Products Guide awards recognize and honor excellence in all areas of information security. To learn more, visit www.infosecurityproductsguide.com and stay secured.